and if you’re all wise, you’ll subsidize the Big Green Energy Mountain." On the Big Green Energy Mountain, the sun shines day and night. The solar cells that run the wells provide abundant heat and light. And you can site them miles away ‘cause the power lines have no loss. On the Big Green Energy Mountain, the cars burn alcohol. And to make these stocks of ethanol takes no farm land at all. The trucks all run on water and surplus cooking oil. the forests can be clear cut miles around without a tree uproot. The dams don’t block the canyons and the fish can swim right through. The Comprehensive Energy Plan for Vermont (CEP) says that Vermont will use 90% renewables by 2050. My husband and I are doing a report on the land-use implications of this 90% renewable path for Vermont. An early report on land-use is at the Ethan Allen Institute site right now. The 90 Percent Solution. You can expect a longer report later in the year. My friend Dana Krueger wrote this song, and I decided to run it on the day of the NRC meeting. Plant opponents may be better at intimidation, but we have better songs! The original Big Rock Candy Mountain song is below, just for fun. As I noted in my post Cheerful Wednesday, Howard Shaffer was invited to speak to the House Natural Resources and Energy Committee on Thursday, April 25. Robert Alvarez and Arnie Gundersen also spoke to the same committee. (My "Cheerful Wednesday" post has many links about the Alvarez talk.) This post mostly consists of Howard's prepared remarks. But I will start with the quote from Vermont Public Radio that ended their description of Gundersen's talk. On Friday, John Dillon of Vermont Public Radio broadcasted a report: Engineer Says State Could Face Expensive Clean-up If Vermont Yankee Closes. The report quotes both Gundersen and Shaffer. I link to the transcript, above. A pro-Yankee nuclear engineer said lawmakers should not be overly worried that the state will be left footing the bill if Entergy closes the plant. Howard Shaffer is from Enfield, N.H. and worked for years in the nuclear industry. He said the federal government would not allow Entergy to walk away. Thank you Chairman Klein and Committee Members for allowing me to come before you today. My purpose is to provide what I can from my experience on this important matter. My view is positive. Virtually my entire career has been in nuclear power. My resume is attached. Missing from the nuclear debate has been clarity about the overall design philosophy of US nuclear generating facilities. From the beginning, every aspect of the program -- hardware, training, management and regulation-has been designed, not on the belief that accidents MIGHT happen, but on the certainty that accidents WILL happen. Experience with human performance proves that there will be mistakes. If the benefits were to be enjoyed, then all possible means to first, prevent accidents, and second to deal with the consequences of accidents had to be developed and put in place. A key part of the design process is asking “What if..?” scenarios for all imaginable events that could happen. The design and licensing process continues and asks “How could this happen” and “How long does this take to happen?” and “What are the odds that it will happen?” Fast-breaking events require controls that respond instantly and automatically, while longer-term events include actions by trained nuclear operators. For example, the Design Basis pipe break initiates a series of automatic programmed shutdown responses for the first ten minutes. At that point, the nuclear operations team takes over the process. The operators are the first responders. At Fukushima, the operators worked diligently until the accident was under control. It took more than a day before there was any release, and the order to evacuate residents in the vicinity came hours before that. One-third of the nuclear fuel in the Vermont Yankee reactor is replaced every 18 months. The fuel that is removed from the reactor and stored on-site continues to be a valuable resource because only about 10% of the energy contained in the fuel has been used and 90% of that energy can be reclaimed through recycling and used to create more electricity. and stored in dry casks, are air cooled by natural circulation through the cask. The pellets have been stored in water for more than five years and are generating very little heat. With the shielding in the 100-ton storage casks, the used fuel is very secure. Even if a cask was broken open and the pellets scattered on the ground, they would just lie there, continuing to be air cooled. Radiation dose to the offsite public would be insignificant. Used fuel in the pool is also very secure. The reactor building and radioactive waste storage facilities are designed for the maximum Design Basis earthquake and 360 mph winds from a tornado with 300 mph winds advancing at 60 mph. The fuel pool and the entire cooling system are in those buildings. The system is powered by two redundant emergency backup diesel generators when normal power is lost. There also are backup water supplies to the spent fuel storage pool. Post 9-11 and based on hypothetical spent pool fire studies, the fuel is stored in the pool in a checker-board pattern, with the fuel most recently removed from the reactor, which generates the most heat, surrounded by older fuel(which has been cooling in the pool for up to 35 years) that will absorb heat. There was an event this February at Pilgrim plant in Massachusetts, a plant like Vermont Yankee. This event illustrates the design margin. During storm Nemo all offsite power was lost for two days. The reactor scrammed and emergency backup diesels started automatically, as designed. The reactor was brought to cold shutdown by the Pilgrim reactor operations team in 10 hours, and fuel pool cooling, which can be suspended for a long time due to the large volume of water in the pool, was restored after 21 hours! I’ve struggled to understand how the debate over nuclear power got to be so politically polarized. Starting with the famous book “Soft Energy Paths”--the author wants to do away with nuclear weapons (don’t we all?) and he concludes we must do away with all nuclear power generation--a source of 20 per cent of the US electricity supply--in order to do this. This means finding and developing economically-viable technologies to replace the 24/7 base-load power generated by nuclear plants without massive increases in the use of fossil fuels. Unfortunately, it also has led in some quarters to doing as much as possible to discredit nuclear power. Some supporters of nuclear power call this spreading FUD – Fear Uncertainty and Doubt. Using examples that increase fear of radiation is a common tactic. For example the warning that an element has a “half-life of millions of years” implies that it will be harmful or dangerous that long. The opposite is true. 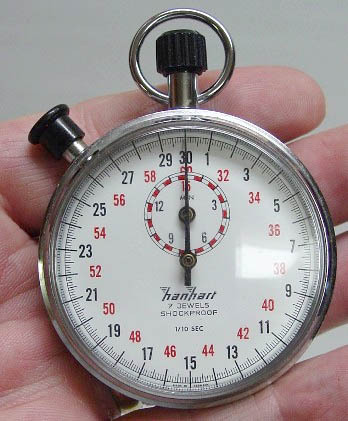 The longer the half-life, the more slowly the radiation is given off and the lower the dose each year. Implying that radiation comes only from the generation of electricity with nuclear power, and nuclear weapons is also false. Radiation is natural. The Uranium in the granite in this statehouse building was radioactive millions of years ago, and will be radioactive in millions more. This is a natural part of our environment, and we all get low doses of radiation continually. Entergy filed its first-quarter earnings report. Entergy sued about the state delaying permission for Vermont Yankee diesel generators. 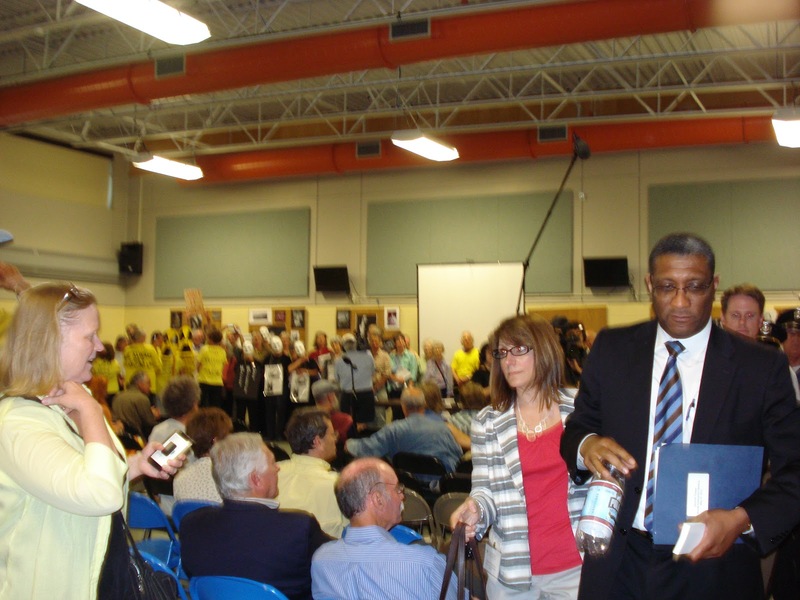 Yearly NRC meeting on Vermont Yankee is scheduled for Tuesday, April 30 in Brattleboro. Frankly, each of these could be its own blog post, but that is not going to happen very quickly. So here's a little catch-up! More catch-up soon on Howard Shaffer's presentation yesterday to the legislative committee, but that will be its own blog post. His presentation went very well. In late March, I wrote a post about Vermont Yankee Financial Analysis: The Write-Down and More. 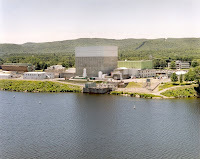 In this post, I noted that Entergy had taken a "write-down" (decreased the official valuation) on the Vermont Yankee power plant in April 2012, and that an analyst report said that the plant was quite likely to be closed by Entergy. However, that same report considered the rise in natural gas prices to be "recent rally" caused by some kind of "perceived supply constraint." The report claimed that this natural gas supply constraint would be easily remedied by FERC and ISO-NE actions. The Entergy press release on its first quarter earnings show that earnings went from $0.44 a share first quarter last year to $0.94 cents a share first quarter this year. The press release also mentions Vermont Yankee's breaker-to-breaker run. Lots more information is available in the earnings report and the earnings call transcript at Seeking Alpha. The regulated utility business earned $0.69/share (as-reported figure) and the merchant plants earned $0.46/ share. In other words, the merchant plants made a very significant input to Entergy's profitability. Basically, the rise in gas prices led to these increased profits. Nationwide, gas prices doubled this year: gas prices went from below $2 MMCF in April 2012 to above $4 MMCF in April 2013. Also, there were local supply constraints (very few pipelines). During the cold weather, pipeline constraints led to amazingly high local natural gas prices, and therefore to high grid prices and high earnings for the merchant plants. No surprises there. Most of the earnings call ignored the merchant plants (except for discussing the tragic accident in Arkansas and its implications). The call focused on a planned merger or spin-off or something (I didn't follow it) of part of Entergy's regulated transmission business in the South. Also in March, I wrote about Vermont Yankee's need for a new diesel generator: Black start, Intervention and some links. Vermont Yankee needs the generator in order to meet the NRC's black start requirements when Vernon Dam is no longer considered a black start facility. (Black start facilities are charged with re-energizing the grid after a major regional power outage.) Vermont Yankee applied to the Vermont Public Service Board for permission (Certificate of Public Good) to install this generator. I wrote that intervenors had been allowed on the docket, and were complicating and delaying the granting of this certificate. 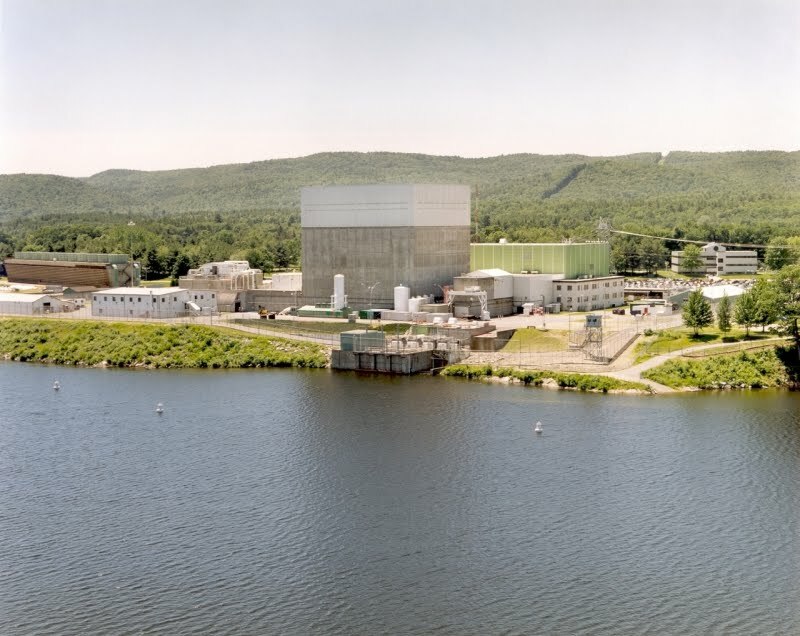 Well, on Wednesday, the PSB issued a scheduling order which showed that the docket will not be resolved until considerably AFTER the date that Vermont Yankee needs to begin constructing the pad for the diesel. On Thursday (yesterday) Vermont Yankee sued the state in federal court. Entergy said that the PSB was interfering with nuclear safety, a federal mandate. 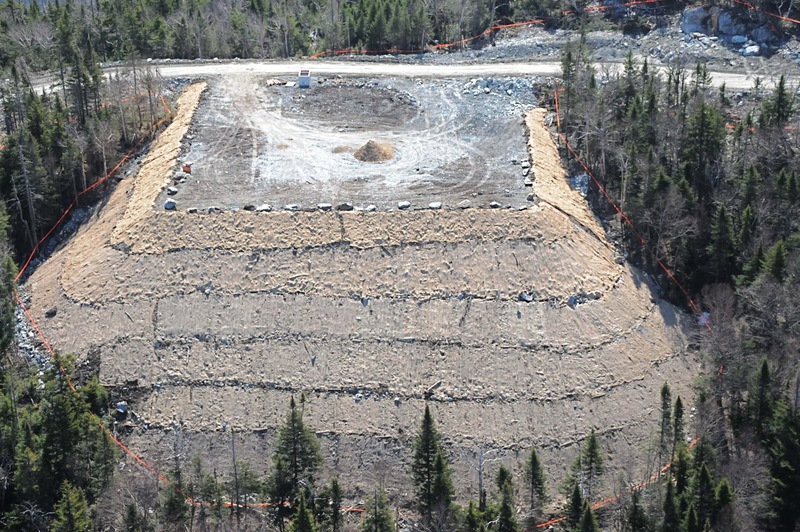 Andrew Stein of Vermont Digger has a good article on this issue: Entergy files new lawsuit against Vermont, this time over diesel backup power permit. Update: The Digger article now has a link to the Entergy filing. Interestingly, Entergy asked TransCanada to keep Vernon Dam as a blackstart facility. That is, Entergy asked TransCanada to contract with Entergy to keep the dam blackstart-ready (Entergy would pay for this, no doubt). However, TransCanada refused to make this contract. This info is on page 15 of the document linked above. On April 30, at Brattleboro Union High School, the NRC will hold its annual meeting to discuss its Vermont Yankee safety assessment. The meeting will begin at 5:30 with an open house and follow with a question and answer period. Here's the NRC announcement. Last year's NRC meeting was very unpleasant, in an atmosphere close to mob rule. I wrote about it at ANS Nuclear Cafe, with the title NRC Meeting in Brattleboro: The Politics of Intimidation. Yes. I am going again this year. I believe in showing up. The opponents will show up also, I am sure. Or not. I am not so sure. A letter by Nancy Braus in The Commons (Brattleboro newspaper) claims the NRC doesn't listen and is "not our voice." It claims we have wasted our time preparing questions and sharing our education with the NRC. The letter is described as follows: This letter is written on behalf of the Safe and Green Campaign, an antinuclear organization comprised of people who live in the evacuation zone around Vermont Yankee. Personally, I can assure you that the NRC listens to everyone--the letter-writer here seems to think that "listen to us" means "obey us." Oh well. Anyhow, the fact that the letter was written "on behalf of" the major local anti-nuclear campaign makes me wonder whether some of them will boycott the meeting, and maybe there will be less intimidation this year. I hope so. Update: Whoops. I was wrong. It's the opposite of a boycott. I just looked at my home-town paper, and the campaign is running a carpool from White River Junction to Brattleboro for the meeting. So I expect a big opponent presence at the meeting. There may have been carpools other years, but if so, the carpools weren't announced in my local paper. Last Thursday, anti-nuclear activist Robert Alvarez spoke to the House Natural Resources and Energy Committee at the Vermont State House. 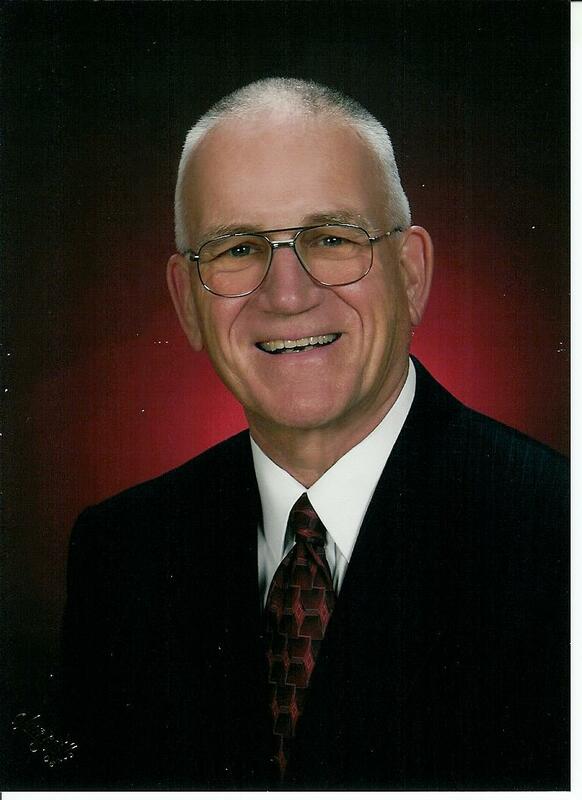 This Thursday (tomorrow), Arnie Gundersen will speak to them. However, Howard Shaffer will also be speaking to the Committee tomorrow! That's the cheerful news. Well, it isn't perfect news, of course. Alvarez spoke for an hour, and Gundersen is also scheduled for an hour or more. That's two hours. Shaffer will have slightly more than an hour, according to the schedule. Still, Shaffer will be able to share some facts about spent fuel. His facts will counter the Alvarez scare stories. As of yesterday, it appeared that only Alvarez and Gundersen would be testifying to the legislative committee. At that point, I was very annoyed, and I sent a letter to the editors of the local papers. Today, I am very happy that Howard will testify. However, everything in my letter remains true. My Letter to the Editor: Why Alvarez? On April 18, Robert Alvarez spoke to the Vermont House Natural Resources and Energy Committee about spent fuel storage at Vermont Yankee. I attended a large portion of that meeting and I also collected his handout. The legislature is considering a tax on spent fuel. At the meeting, Alvarez spoke at length about the dangers of spent fuel. He advised that, for safety, much of the spent fuel should be taken out of the fuel pool and placed in dry casks. He also spoke about taxing the fuel, and about decommissioning. In other words, he gave the standard anti-nuclear talk. Upon questioning, Alvarez admitted that the organization he works for is opposed to nuclear energy, and further admitted that he has no technical degree, though he has been a politically-appointed “policy advisor” in the Department of Energy. My first reaction was to wonder why the Vermont legislature had invited Alvarez to testify. My second reaction was to try to figure out what he was trying to say. Why did he talk about safety? Has safety got something to do with taxation? The NRC regulates safety at nuclear plants. Hopefully, Vermont does not plan to spend more money trying to regulate nuclear safety and then losing court cases. If the legislature was trying to figure out how to tax Vermont Yankee, it seems they need a tax expert, not someone who would tell them scary things about radiation in the spent fuel pool. Why was our committee listening to these scare stories, with no engineer to testify in rebuttal? Anti-nuclear activists claim the spent fuel pools burned at Fukushima, but they didn’t. The new NRC commissioner, Allison MacFarlane, visited Fukushima in December and walked all around the unit 4 plant. She could not have done this if there had been fires and criticalities in the fuel pool. And what does any of this have to do with taxation? 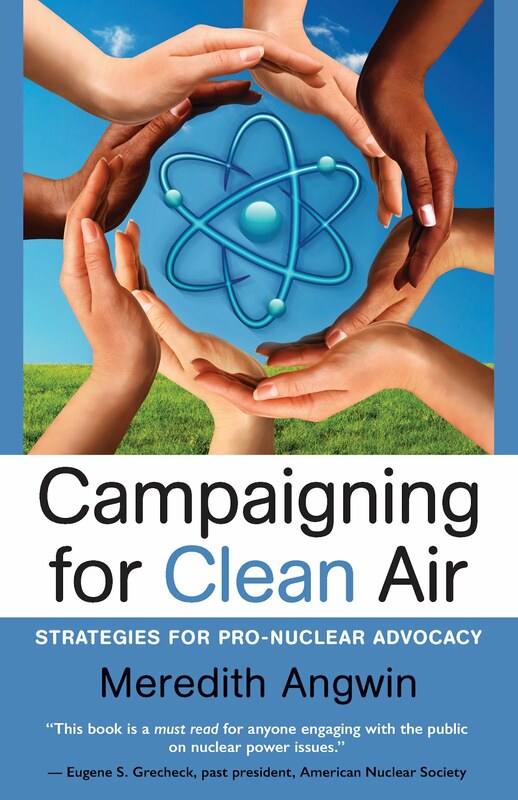 I would like our legislature to be more than a bully pulpit that gives anti-nuclear activists an opportunity to get press coverage. Luckily, Howard Shaffer was at the meeting. After the session, several reporters interviewed Howard. Shaffer actually knows something about nuclear energy, spent fuel and so forth. Among other things, he is a registered professional engineer in Vermont. Well, you all know Howard Shaffer. Here are links to the articles, and some quotes from Shaffer (and others). When power failed at Fukushima, reactor operators could no longer pump water to keep the fuel cool. Some of the material burned, releasing radiation. Listening to Alvarez’s testimony was Howard Schaffer, a Yankee supporter and nuclear engineer. He said that Alvarez overstates the dangers of the spent fuel pool at Vermont Yankee. “Because most of the fuel in the pool is (cooled) down to the point where it would absorb heat in the pool, because it’s down to the point where it could be cooled in air,” he said. "The (Federal) NRC and the industry are more motivated by economics than understanding the implications of the safe storage of these materials," Alvarez told lawmakers. Some listening to his testimony think Alvarez exaggerated the problem. "He's from an industry who makes his living saying the sky is falling. 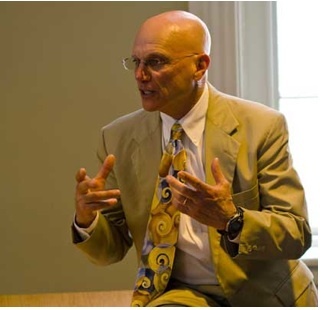 without saying what the odds are," said nuclear engineer Howard Shaffer, of Enfield, N.H.
Rep. Mike Hebert, a Vernon Republican who sits on the committee, said Alvarez "represents an anti-nuclear group who will give the most negative position you'd expect them to do." Howard Shaffer, an engineer with the group Nuclear Public Outreach who attended Thursday’s hearing but did not testify, said afterward that the public should not be alarmed about the safety of nuclear waste. He argued that it can be managed safely. The committee invited Alvarez to testify about spent fuel. Actually, Alvarez was invited by both the Senate and House committees: he was supposed to speak at a joint session of both committees. But the joint session never happened, and he spoke to the House committee only, in a rather small and crowded room (see picture above). Anti-nuclear activists are often invited to speak to the House Natural Resources and Energy committee. Next week, Arnie Gundersen will speak to them. This committee is like Rick's Cafe Americain for anti-nuclear activists. They are all invited and they come. 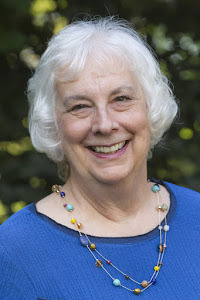 In contrast, the Ethan Allen Institute sponsored Gwyneth Cravens to come to Vermont two years ago: she is the author of Power to Save the World. However, we were unsuccessful at getting her to be invited to speak before a legislative committee. We did arrange for Cravens to speak at a State House Round Table, which is basically a lunch-time meeting in an available committee room. Quite a few legislators came to hear her. You might also enjoy reading Rod Adams post: Why does anyone trust Robert Alverez's opinions about nuclear energy? Update: Nuclear Notes, the blog of the Nuclear Energy Institute, has a comprehensive post on the Alvarez visit: Vermont Yankee and the Ink on the Rubber Stamp. NEI takes a national perspective, comparing the Vermont situation to similar issues in other states. Many excellent links, also. 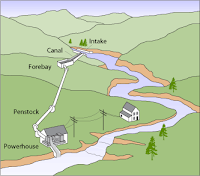 I blogged recently about the potential for new in-state hydro power in Vermont. Quoting many studies, I concluded that not much new in-state hydro power is available for Vermont. My estimate was about 25 MW possible. Please read the entire post for the justification of this number. Vermont Yankee opponents, on the other hand, often say there is much more hydro available for Vermont. Among the opponents, VPIRG is the most honest: their Repowering Vermont report predicted only 15 MW expansion in hydro power. Aw heck. I'll just quote them. On February 14, I attended a Public Service Board hearing about the Certificate of Public Good for Vermont Yankee. At that hearing, Entergy presented Jeffrey Tranen as an expert witness. You can read Mr. Tranen's resume here, and you can read his pre-filed testimony for the Board at the relicensing docket. Tranen has held responsible positions with grid operators and utilities. Tranen testified on the need for reliability and a good fuel mix on the grid. In general, substantive issues are supposed to be entered into the docket as pre-filed testimony. You can see volumes of pre-filed testimony at the relicensing docket site, above. New England Coalition is an old-line nuclear opponent, and an intervenor in the docket. The lawyer for the New England Coalition was Brice Simon. "Have you stopped beating your wife?" indirectly asserting that the subject has beaten her at some point. Okay, cutting to the chase here. Brice Simon's questions for Tranen seemed so inappropriate that I obtained a copy of the transcript for that day so that I could quote the exchange directly. The transcript is a public record, but it is not on the Public Service Board website. See what you think of these questions. I Know and You Don't--So Hah-Hah! Context: Discussion of Vermont Yankee's role in diversifying the fuel supply mix in this area, an area which has limited natural gas pipelines. Q. Just to follow up on that one, isn't locally produced hydro power one type of fuel that can step in to meet that need rather than Vermont Yankee? A. Local hydro is already factored into the dispatch. Q. What I'm asking is increased local hydro over time could come in to meet that need, correct? A. I question whether there's enough increased local hydro of the magnitude of a Vermont Yankee power plant, but in general any other source of power than gas which is economic -- more economic than gas to operate in the dispatch would reduce the amount of gas that's required during the operating day. Q. 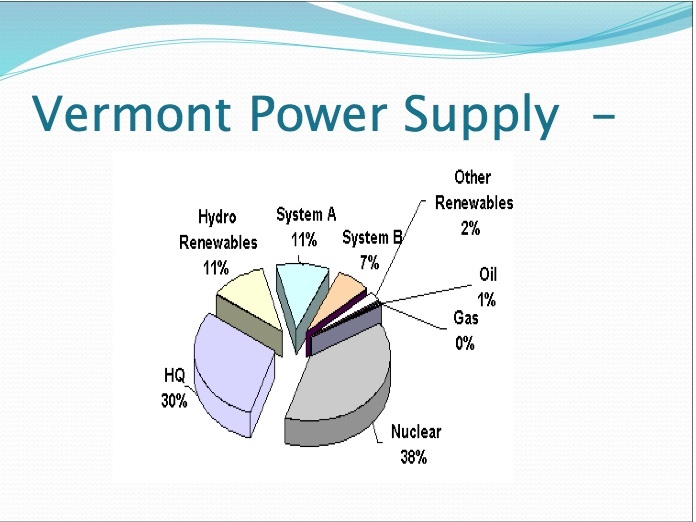 Are you aware of how much untapped hydro resources there remain in the State of Vermont? A. I don't have specific numbers, but when I was actively involved in management with regard to New England it was my understanding that there was very little economic new hydro in New England to be developed. Q. A decade ago. So you're not aware of all of the wonderful improvements that Vermont hydro developers are seeing that are increasing the available economic hydro in the state, are you? A. I am not aware of the -- to what extent there could be new hydro that would be economic to develop in Vermont. Q. Are you aware of the recent developments in run-of-the-river hydrologic turbines? MR. JUMAN: Objection. What developments are you referring to? 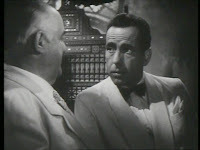 MR. SIMON: I'm asking if the witness is aware of the developments that I'm aware of that I'm not going to tell about. MR. JUMAN: Then I object to that question. You're asking him about something you're not sharing with him. MR. SIMON: I don't have to share it with him. MR. JUMAN: You're asking him to read your mind. MR. SIMON: No. I'm asking his state of knowledge. I don't have to tell him. CHAIRMAN VOLZ: I think it's fair to ask him if he's -- we are -- what developments in hydro technology is he aware of. MR. SIMON: I'll rephrase the question happily. BY MR. SIMON: Q. What, if any, developments in the area of run-of-the-river hydrologic turbines are you aware of? A. I am not aware of any hydroelectric technology developments that would make new hydro development economic in competing with gas fired generation to any great extent. Mr Simon did not even attempt to justify his implied assertion that recent improvements had greatly expanded hydro power availability in Vermont. He didn't enter anything about these new improvements into the pre-filed testimony. (All the NEC pre-filed testimony is about fish and cooling towers.) Instead, Simon resorted to loaded questions and "I know but I'm not telling." With this, he tried to convince the Public Service Board that there is lots of new hydro available to Vermont. Simon seems to be claiming that there is new hydro available, on the same scale as Vermont Yankee power, but as small run-of-the-river plants, using an unreferenced new technology. And he doesn't have to tell anything more about it. Hopefully, the Board is smart enough to see through this type of questioning. A few days ago, I posted about some controversial renewable energy projects in Vermont. I didn't mention hydro projects. Basically, I don't think in-state hydro is going to expand very much in Vermont. Still, hydroelectric power is pretty important in New England, so I need to discuss it. 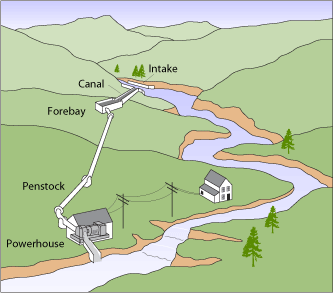 Here's my Vermont-centric description of the Future Of Hydro. Historically, Vermont receives about 10-12% of its power from in-state hydro. I show two charts that show this percentage. One is about two years old, showing 11% in-state hydro in Vermont. One is more recent, showing 12% in-state hydro for Green Mountain Power, which supplies over 70% of the electricity in this state. 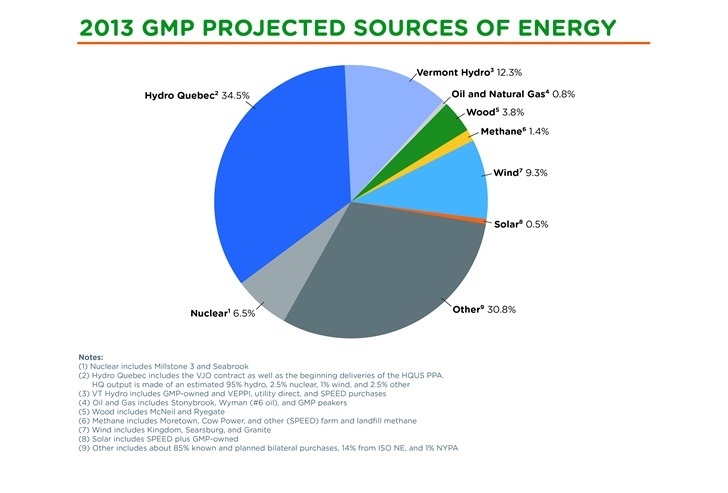 From current Green Mountain Power web page on Fuel Mix. Green Mountain Power (GMP) website's hydro page describes Vermont's long history of hydro power. GMP itself has a fleet of 32 hydro stations, many of which include recreation areas. There are about 80 active hydro sites in Vermont. I don't expect in-state hydro to expand very much in the future. Renewable Energy Vermont (REV) is upbeat about hydro, but they admit that By and large all existing dam sites in Vermont have already been developed, with no new projects commissioned since 1993. 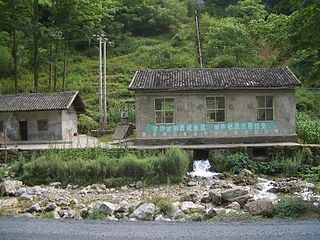 Environmental concerns, a burdensome licensing process and difficult economics have been primarily responsible for the lack of new dams coming on line. Despite this, REV is hopeful about small, community-scale, run-of-the-river hydro. In August 2010, the Burlington Free Press ran an article Hydroelectric dams resurgent in Vermont. It isn't much of a resurgence, though. This article is really about refurbishing: the two dams described as coming on-line soon are on the sites of existing dams, and together the dams would generate only 3 MW of power. 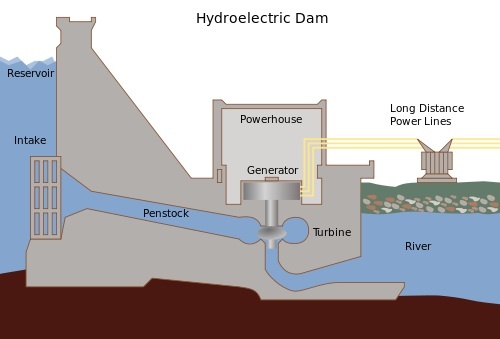 The same article says that A 2008 report assembled by the Agency of Natural Resources published estimates in the 50 MW range, which it termed “broad-brush assessments.” (The report) also noted that Vermont’s stewardship of its water resources probably would supercede the licensing of any new hydro dams. 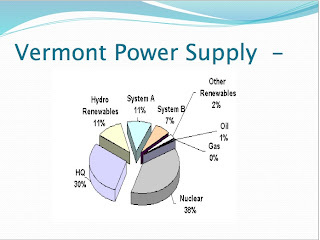 A Department of Public Service (DPS) presentation in 2008 includes several projections of how much new hydro is available in Vermont. The numbers range from 25 MW to 322 MW. The DPS projection says that 25 MW can be built. The high projection is from the Department of Energy: this estimate stands alone with so big a number, and seems to be based on the idea that every river, stream and brook in Vermont would have a hydro plant. Vermont’s stewardship of its water resources probably would supercede the licensing of any new hydro dams. As far as I can tell, while existing dam sites are being refurbished, the national trend is not in favor of more hydro projects. In the United States, hydro seems as likely to be dismantled as to be built. A year ago, for example, the Hydro Review website ran an article by Elizabeth Ingram: Exploring the Reasons behind Dam Removal. 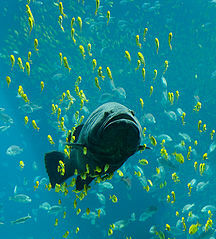 The dams that were removed were located in the western United States. 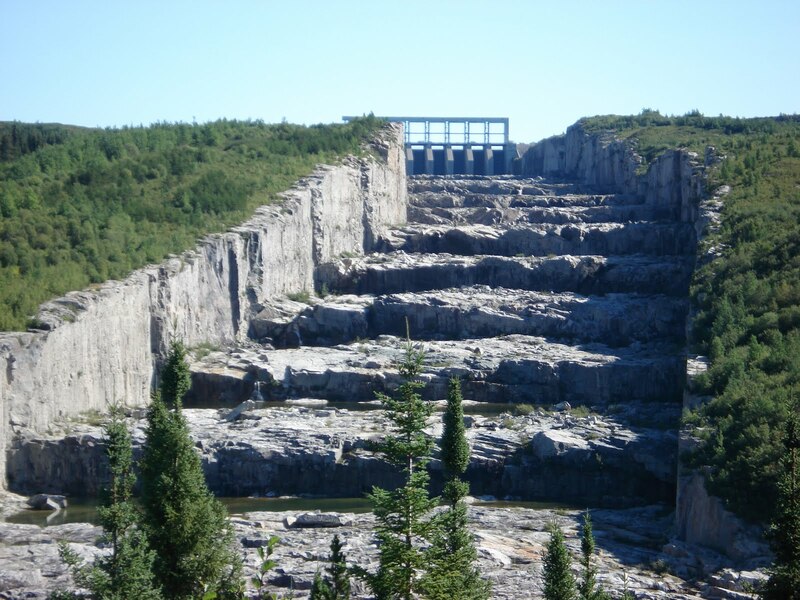 Nearer to home, the Edwards Dam was removed in Maine, in 1999, on the basis that it interfered with fish migration. Low-head hydro that does not require a dam is much discussed. 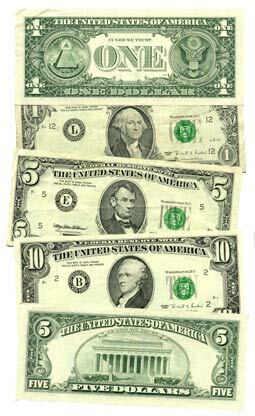 However, I find few examples of such systems being built, perhaps because the economics are unfavorable. Refurbishing an existing dam site is the most common way of adding hydro capacity at this time. If I am wrong about this, I hope my readers will correct me. 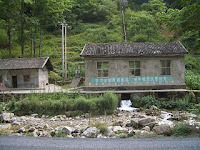 Small hydro is being greatly expanded in China. To read about the biggest Vermont in-state hydro sites, I recommend Bob Hargraves post on the Energy Safari visit to Comerford Dam. The five hydro plants on the Connecticut River are due for relicensing, and hearings will begin soon. However, these plants are not counted as in-state hydro for Vermont. The Connecticut River is the border between Vermont and New Hampshire, but the state of Vermont begins at our shoreline, not in the middle of the river. So New Hampshire has the hydro plants as well as responsibility for the bridges. Leslie Corrice has just posted the 152nd Carnival of Nuclear Energy at the Hiroshima Syndrome blog. Corrice then lists the three misconceptions that are the basis of this fear. Actually, I suggest you read his essay on the subject. 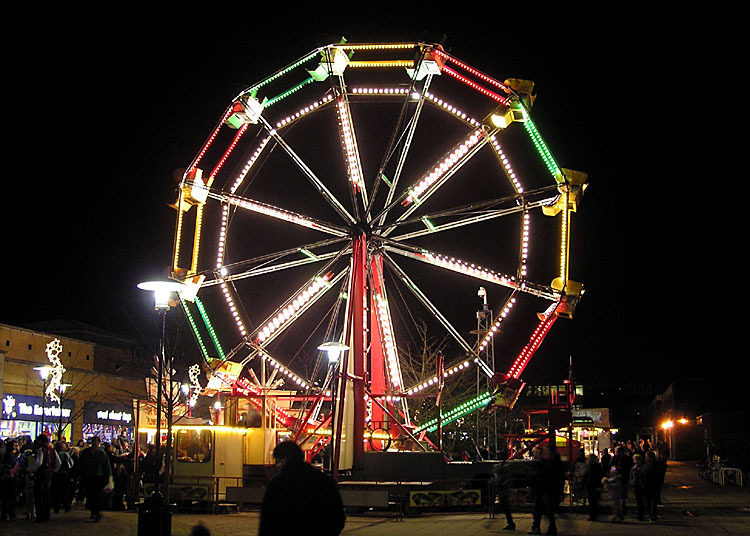 And now, I have managed to get off my own subject: the 152nd Carnival itself. It's a great Carnival. Here's the note that Corrice sent to those of us who contributed to the Carnival. This week, we are proud to have a submittal from Massachusetts Institute of Technology concerning the movie Pandora’s Promise. Other blog topics include – using risk vs. benefit as a framework for analyzing nuclear opinions, the nuclear waste storage program in the Netherlands, a former NRC chairman says he is now antinuclear, how smart-grid ads can be demeaning to women, hypocritical environmentalists, and the resurrection of FUD (fear, uncertainty and doubt) in the Japanese press. Nuclear Makes a Lot of Electricity. Controversial Renewables Make Very Little. Vermont Yankee went back on-line after refueling. The outage lasted 26 days and included replacing a pump motor and transformer, as well as other maintenance. Opponents of big wind are pretty much stymied by the permitting process in Vermont. The Public Service Board and the Siting Commission do not have to pay any attention to local planning. However, two enterprising Vermont senators from the town of Windham are trying to get around the fact that the towns can be ignored in wind siting decisions. The town plan for Windham bans industrial wind, and these senators have sponsored a bill in the legislature which says that wind turbines cannot be built in the town of Windham. In my opinion, there is no chance that this bill will pass. Still, the senators will be able to tell their constituents: "I sure tried to stop big wind around here." There's a biomass plant being planned for Springfield, Vermont. It is running into a fair amount of opposition. The VPR article by Susan Keese is headlined: Sustainability of Springfield Biomass Plant in Question. Meanwhile, Susan Smallheer reported in the Rutland Herald that the state is critical of wood-fired project's forestry plan. Rutland Vermont is going to be a solar city. Green Mountain power plans to "give Rutland the highest solar capacity per capita of any city in New England." This quote is from the April 9, Green Mountain Power announcement of a Request for Proposals for a solar installation in Rutland. 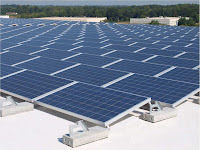 Electricity from solar tends to be expensive electricity, but with net-metering (the power company buys electricity from solar arrays at a high price, but sells back-up electricity to the array owner at a lower price), a solar installation can save money for its owner. 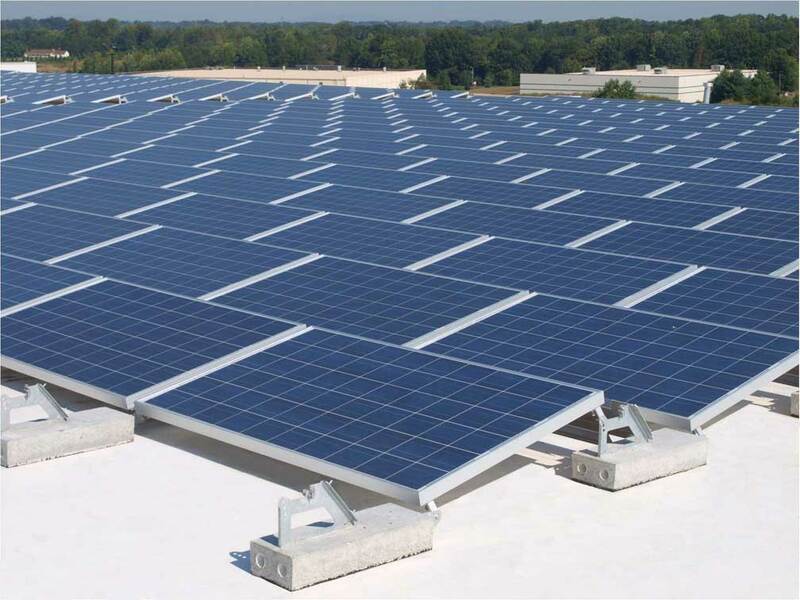 This news release from All Earth Renewables describes these zero-cost solar programs. As many Vermonters see it, this body is supposed to deflect heat from the Public Service Board, which was siting industrial wind projects and riding roughshod over Vermont town land-use planning in order to do so. This new Siting Commission is also allowed to ride roughshod over the town plans, but somehow, we are supposed to like it better. As I noted in a recent post, the Vermont Senate considered a bill requiring stronger environmental review of energy projects, but only passed a gutted bill. At any rate, the new Commission is holding some public hearings, and I went to one last night. It was an interactive TV hearing, with people attending from all over Vermont. A large crowd was present in the Lyndonville TV studio. Lyndonville is in the Northeast Kingdom (NEK) of Vermont, where the wind projects are being built, despite much local opposition. Most speakers were against the projects, and they were angry because they realized they are powerless to do anything about the projects. The Siting Commission also doesn't have to pay attention to the town or regional plans. Other speakers asked why Vermont has to make all its own energy, when after all, it doesn't grow all its own food or make all its own clothes. Guy Page of VTEP (Vermont Energy Partnership) spoke. He referenced his recent report that Vermont already gets over 50% of its electricity from sources it considers renewable. Luckily, the Vermont legislature passed a law saying that power from Hydro Quebec is renewable. That sure helped our renewable percentages around here! 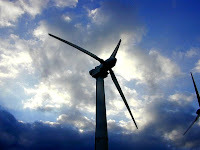 Note: I recommend a blog post today by Howard Shaffer about renewable energy in Vermont. Alternative energy in Vermont – Chickens coming home to roost at ANS Nuclear Cafe includes an excellent history of energy controversies in Vermont and a root cause analysis of energy opposition. I also spoke at the Siting Commission meeting, and my statement is below. It is relatively easy to think of people who are opposed to renewable energy projects as NIMBYs, and there may be some of that included in their opposition. However, renewable energy sources have lower energy density than traditional sources (such as fossil fuels and nuclear power). Therefore, renewable projects often require significant use of land. If you look at these books and reports, you will see that there are extensive land-use implications to the use of renewables. Towns could be trampled by renewable projects if such projects are considered more important than their own land-use planning processes. I urge you to abide by the planning processes of the towns, and not override them. On Friday, most of the members of the Coalition for Energy Solutions attended a Jones Seminar at the Thayer School of Engineering at Dartmouth. The topic was Harnessing Distributed Flexible Resources for Sustainable Electric Energy Systems and the speaker was Dr. Johanna Matheiu of the ETH Power Systems Laboratory in Zurich. Dr. Matheiu was a clear and well-organized speaker. Most of her talk was about methods of damping out short term fluctuations in the grid due to intermittent power providers. The fluctuations she was concerned about were short-term: changes in wind speed, clouds over the sun. When asked about long-term issues (the wind blows more at night when the demand for power is low anyway), she made some suggestions such as pumped storage. Among other things, she suggested running clothes dryers late at night. I don't blame her for this suggestion. It is what everyone suggests. For example, my local Green Mountain Power ad for their upcoming smart grid suggests that washing machines be run at three in the morning. It's right there in the commercial. Three in the morning? Really? I have been married for over forty years, and we raised two children. I have run many loads of laundry in my time. I know something about laundry. Laundry doesn't "do itself" at three in the morning. If laundry is running at three in the morning, someone is running it. If wet clothes sit around in the washing machine for a long time before being transferred to the dryer, the clothes are likely to grow some serious wrinkles. When the dryer finishes, it signals (buzzes) so you can retrieve the clothes and hang them up quickly. This is important, unless you don't mind looking as if you slept in your clothes. Every dryer I have owned for the past twenty years had a "cool-down" part of the cycle to prevent wrinkles, plus an end-of-cycle buzzer. The dryers usually also have some kind of wrinkle-saver feature: the dryer keeps tossing the clothes about and buzzing yet again, so if you don't catch the first end-of-cycle signal, you will still have clothes that aren't wrinkled. These are pretty important features for most women. I remember the old days before permanent press fabrics and dryer-cycles. It was all about ironing. 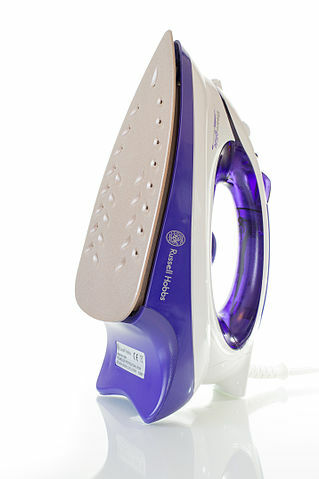 I still do some ironing on occasion, but not nearly as much as I did when I was first married. In my opinion, this business of dryers running in the wee hours of the morning is simply insulting to the work that (mostly women) do in order to keep their households in clean clothes, sheets and towels. The assumption seems to be that such human work is not necessary. The washing machine will run itself. Unless, perhaps, comes-the-smart-grid-revolution, fabrics will also be quite different, quite high-tech, and these fabrics will be able to sit around in washing machines and dryers for hours without getting wrinkled. (I'm not holding my breath.) Also, these amazing new fabrics (if they are planned for the smart grid) are never mentioned in the ads. First of all, I want to say that I try to spare the grid. For example, it is quite painless to start the dishwasher around ten at night instead of starting it right after dinner. I also avoid doing laundry at truly prime-time. I would welcome some level of time-of-day pricing, so more people would avoid stressing the grid. But still it puzzles me: why all this emphasis on laundry-at-midnight? I finally figured it out. Laundry at midnight is pretty much the only activity that seems to be available for time-of-day shifting. It would be over-the-top to suggest that people cook meals at three a.m., go to baseball night games that start at three a.m. and so forth. People won't do this. Some parts of our social structure need to work all night (hospitals, police stations, freeway gas stations, some industrial processes). These already operate all night. Shifting other processes to midnight doesn't usually work out well. For example, when my husband worked for a start-up digital mapping company, they decided to add a midnight shift of digitizers (map-makers). Unfortunately, after a few months, they realized that the quality of the maps produced on the graveyard shift was much worse than maps from other shifts. The graveyard shift maps often required expensive reworking. It turned out to be more cost-effective to add workstations and workers in daylight hours. I think other companies have made similar discoveries, over time. In other words, humans are daylight creatures, not nocturnal. When busily over-selling the smart grid, the sellers run right up against that fact. Somehow, they think midnight laundry is the solution. Midnight laundry is not the solution. Suggesting that clothes should be washed at three a.m. is insulting to the work of running a household. Suggesting that clothes wash themselves is equally insulting. Almost as important, this suggestion is an insulting oversimplification of the challenges of running a stable grid. Note: I mentioned Dr. Mathieu's comments about the dryer to show how pervasive the "midnight laundry" idea seems to be. Dr. Mathieu herself is doing research about the smart grid, not overselling it. Green Mountain Power, on the other hand, is over-selling it. The Carnival of Nuclear Energy #151 is at Next Big Future today. It has relatively few links, and they are all significant. The economics of small modular reactors, Arnie Gundersen's less-than-amazing career in the nuclear industry, future prices of natural gas, planting apple trees and building nuclear plants to benefit future generations, a moving memorial to Ted Rockwell, and carbon-counting in Canada. Well worth a visit! Industrial wind projects in Vermont do not have to undergo Act 250 environmental review. (Since the 1970s, Act 250 has been Vermont's main land use planning act.) 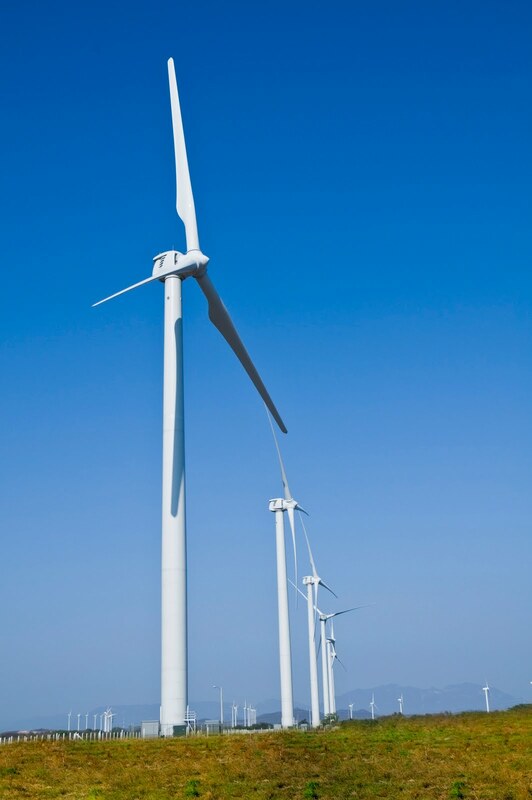 A recent bill in the Senate would have required Act 250 review for energy projects. It had strong bi-partisan support in the Senate. The bill also led a wind developer, Jeff Wolfe, to publicly threaten the (liberal Democrat) President Pro Tem of the Senate, John Campbell, as follows: if you support this bill, not only does ...(my) support end, but I will help recruit and support opposition to you in the next election, and will put my money where my mouth is. In my opinion, Wolfe's public statement was sure to backfire, especially since Campbell had already announced his support of the Act 250 review bill. What did Wolfe expect Campbell to do: apologize for offending Wolfe, get down on his knees and beg forgiveness, and promise to change his vote immediately? I don't think that was very likely to happen. As Campbell said: he “has publicly threatened me and tried to intimidate me to vote one way, and I think it would send a bad message” were he to change his vote. I blogged about this incident in Blowing in the Wind: Threats and Reactions. The next step was exactly what you might expect in Vermont: the Senate took the "Act 250 part" out of the bill, made it a "study" bill and passed it by a narrow vote (16-14). Then the Zuckerman amendment was added. I have no idea why the initial vote was so close, because the bill had already been gutted. However, a vote against (the version before the Zuckerman amendment) was considered a vote against big wind. Then, after the Zuckerman amendment, everybody voted for the bill. Yes, it gets really confusing. Here's the Roll Call link to the bill, before the Zuckerman amendment. It includes links to the bill itself. At any rate, the bill passed the Vermont Senate. Its first stop in the Vermont House will be the House Natural Resources and Energy Committee, chaired by Tony Klein. Klein is a dedicated foe of Vermont Yankee and friend of wind. Andrew Stein of Vermont Digger reports on what will happen in that committee: S.30, energy siting bill, to get limited airing in House Natural Resources. That means Klein’s committee will take limited testimony. Klein is already hearing from many of the "neighbors" in the comment section of the Digger article. I encourage you to read the comments. ....the groundbreaking (interstate) deal is snared in a patchwork of rules, state laws and disagreements over how even to define alternative energy. So there's the view from outside the Golden Dome (State House). We don't know how to implement renewable energy in the region. Perhaps this statement can be taken as a suggestion that everybody "listen to the neighbors." Listening is usually a good idea. On Sunday, I wrote a short blog post about the fatal accident at ANO 1, and the death of Ted Rockwell, nuclear pioneer. Here's an update. Will Davis wrote an excellent update on the ANO 1 accident. It is at his blog, Atomic Power Review, and I hope he will be writing more updates in the future. The first sentence of his post reads: As of this morning, there has been exceedingly little new information released about Sunday's industrial accident at ANO Generating Station. So true! His post also ends with a list of unanswered questions. I am going to add one more question to Davis list: why no pictures? There are pictures available somewhere. I have seen people on twitter refer to pictures, but no pictures have been released to the public. Some pictures may be gory and should not be generally released, out of sympathy to the people who suffered. But in other accidents have the same constraints of good taste and empathy, and they release some pictures. This accident was tragic: there is no reason to also make it mysterious. NRC and OSHA are investigating. 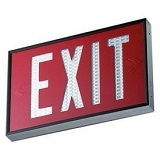 Davis posts includes a time-line of events and links to many press releases, from Entergy, NRC, and OSHA. I also recommend this article from Power Engineering Magazine: Entergy Confirms Death During Refueling. It provides context, including comments on other accidents. Ted Rockwell, a pioneer of nuclear energy and a tireless crusader for it, passed away quietly in his sleep on Sunday, jus a few months before his 91st birthday. I simply cannot do a better job of eulogizing him than Rod Adams did today at ANS Nuclear Cafe: Ted Rockwell, Atomic Pioneer and Tireless Campaigner for Facts. with the provocative sub-heading: "Much of What You Know Simply Isn't So." The site also has links to several of his books. I recommend his book The Rickover Effect. I close with a short clip from Rod Adams; Ted Rockwell speaking about Small Modular Reactors in 2009.